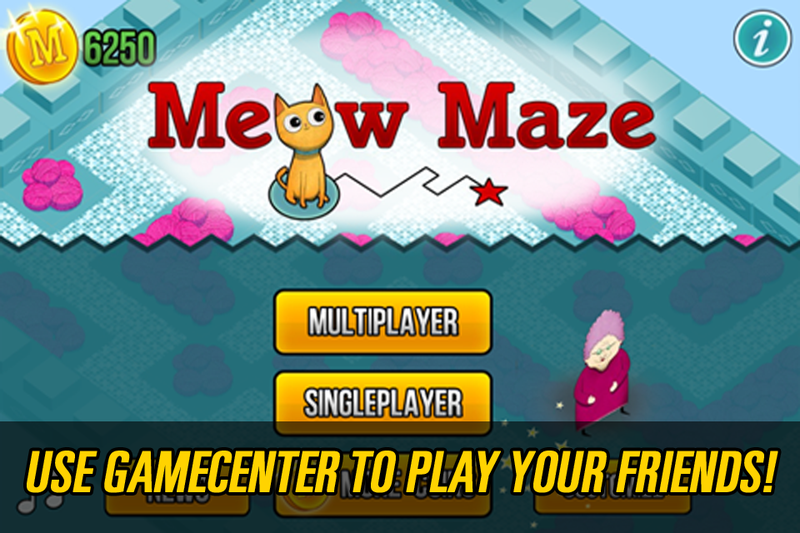 Welcome to the fun free game Meow Maze! 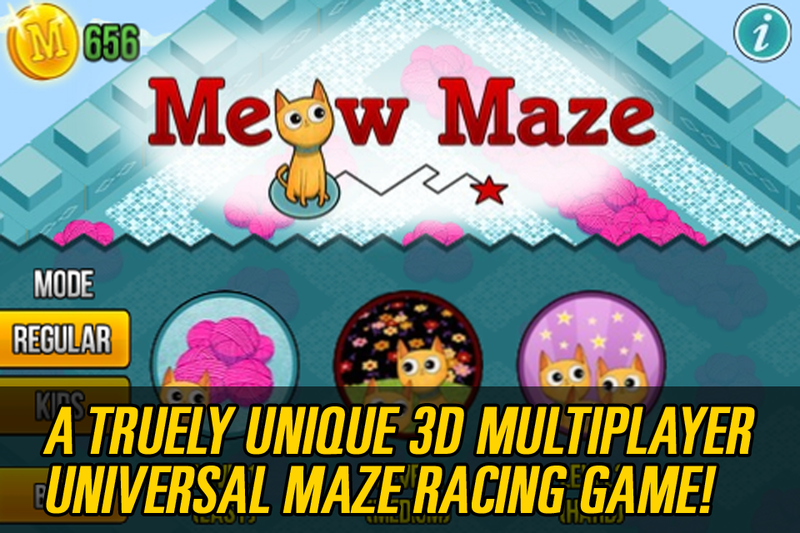 An awesome and fun multiplayer maze racing game. ★★★★★"Gotta save those Kittens! - Really cool and fun Game. Great graphics. My Kids are hooked on saving those kittens. Got to have one more go." ★★★★★"Fun Game that will make your day - This is a very well done Maze game that is fun to play single and multiplayer. But the graphics really made me leave this review. The graphics are very unique and just make me smile. :)"
★★★★★"Meow! Meow! - Love playing games that you can play with other players! I get so so caught up in getting ALL the kitties, I forget I am being timed to get thru the maze!! Fun…meow!" All of the kittens are lost in the maze! Help them back to their momma cat at the end as quick as you can. Play against people all over the world as you race to the finish line though yarn and garden mazes in this truly unique gameplay experience! You can play in single player or multiplayer and race other players live on your device. 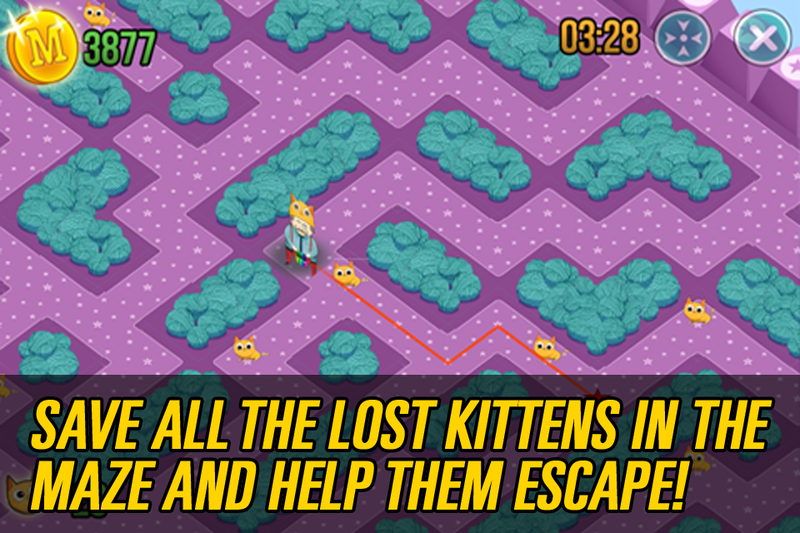 The more kittens you save in the maze game the higher the reward when you win! 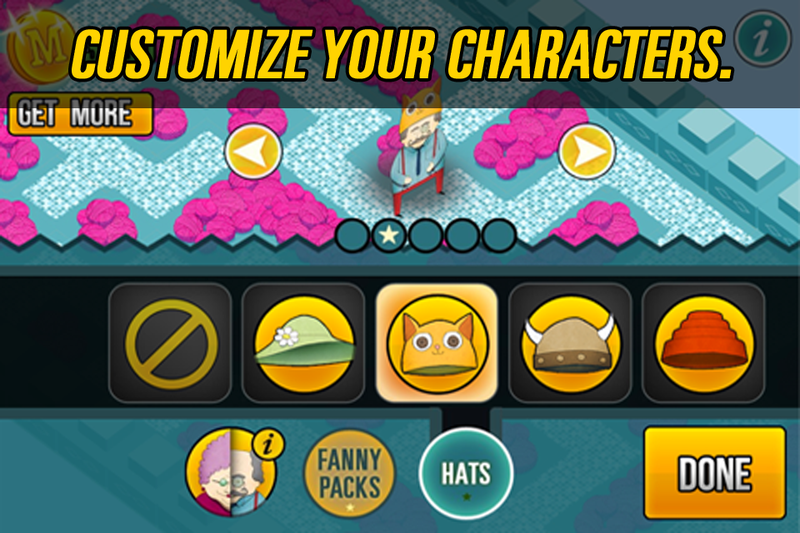 You will be rewarded with coins at the end of the game that can be used to unlock other levels, characters, and items. 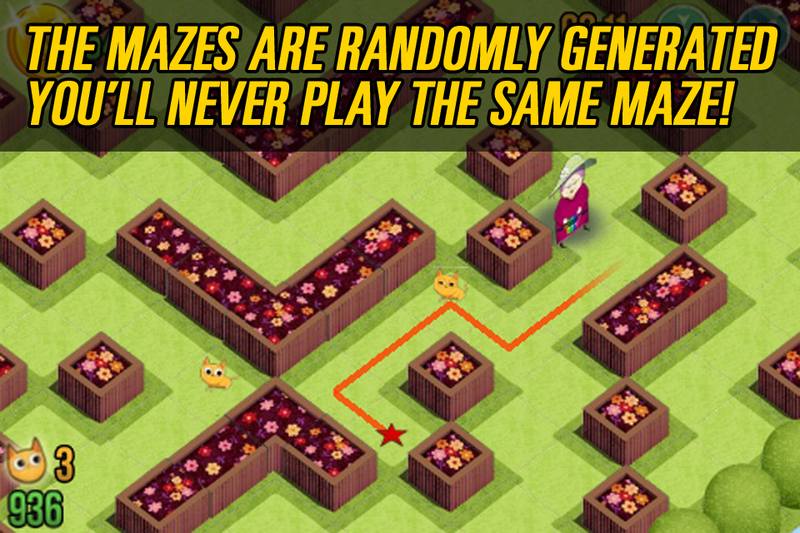 Each maze is randomly generated every time you play, so you'll never play the same maze game twice. Practice as much as you want in the single player mode and earn rewards, then head over to multiplayer to take on live people head-to-head through gamecenter. Thanks for playing! More characters, levels, features, and power ups to come. Stay tuned!